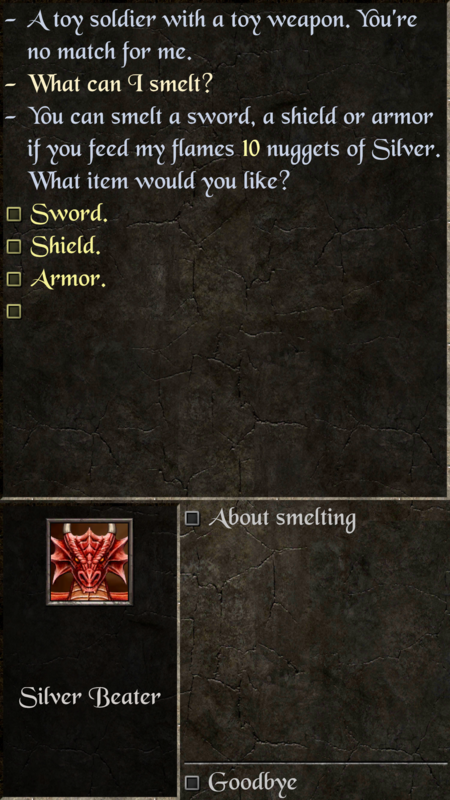 Playing Celtic doom, in credne's forge there is an option 'nothing' missing when talking to the silver beater dragon, see screenshot. Will fix it in an update. Thanks!